Twitter just announced its latest strategy at possibly conquering the web – Twitter @anywhere. The Twitter blog describes this simply as a new set of frameworks that will add the Twitter experience anywhere on the web. In other words, Twitter will soon be rolling out a framework that will let you do your Twitter activities where ever you maybe on the web – minus the need to visit Twitter.com. Twitter @Anywhere aims to bring all the features of Twitter that we have all grown to love and some even hate – read tweets from friends, celebrities, companies, media outlets, fictional characters and more, follow any account and be followed by any account and interact with the whole Twitter community. Again without leaving what you are currently doing on the web. The Twitter blog also stated that once Twitter @Anywhere is ready for launch, there will be more participating sites including Amazon, Adage, Bing, Citysearch, Digg, eBay, Meebo, NYT, Yahoo and YouTube. 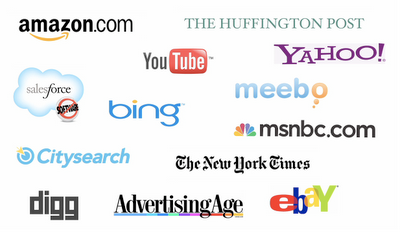 Yup, those are the sites that have become part of our daily online fare. Soon, you’d be able to follow your favorite NYT journalist directly from her byline or tweet a video right from where you are in YouTube. Or if you’re a Yahoo fan, you can discover new people to follow on Twitter while getting your daily news fix from Yahoo. Sounds promising? Actually it is. If only Twitter gave some examples on how this is going to implemented. But then, patience is a virtue dear readers. We can count on the Twitter folks to roll this out the soonest time possible.